Understanding the differences of working and living in another country is important to both the employee and his/her family. The variations may be small or great but they are numerous and sometimes subtle. Participants gain insight into cultural variations and the training program helps the assignee and family to have realistic expectations. This leads to a smoother transition and ultimately to adaption to the new way of life. 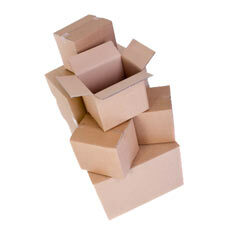 The relocation preparation training can make the difference between a successful or failed relocation. This program is designed to help individuals to understand the attitudes and values of a specific culture with which they will be living and working. Gaining insight into the underlying factors that influence behaviors is essential. The relocation training will enable individuals to better appreciate expat life and the extent of cultural differences. With knowledge comes respect, tolerance and understanding of others and their attitudes, believes and behaviors. The primary goal of the program is to build the cultural competence of individuals. The program is divided into two parts, the first part provides information about cultural variations in order to create realistic expectations and the second part delves into the specific cultural differences of the new country. Where a appropriate, a country expert will participate in the training course. After settling into a new location, families may have additional questions about their new life. A one-hour meeting or Skype call can be arranged with the trainer. The training program should be conducted no more that a month before departure to the new country or within a few weeks after the assignee and family has arrived.